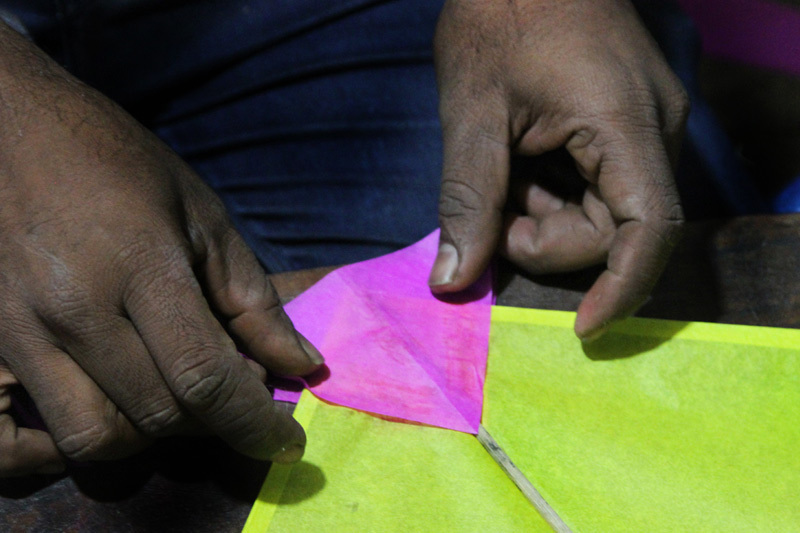 Kite making and kite flying has a long practice in traditional India which is also known as “Patang” (local language). Kite flying in India is celebrated during “Makara Sankranthi”. The day is believed to mark the arrival of spring in India and is a traditional. This festival is celebrated all over India, in their regional tradition way. The major kite festival in India which is known as Uttarrayan is celebrated in Gujarat state on 14 and 15th January. The celebration on 14th January is called as Uttarayan and the one on 15th January is called as Vasi-Uttarayan (Stale Uttarayan). 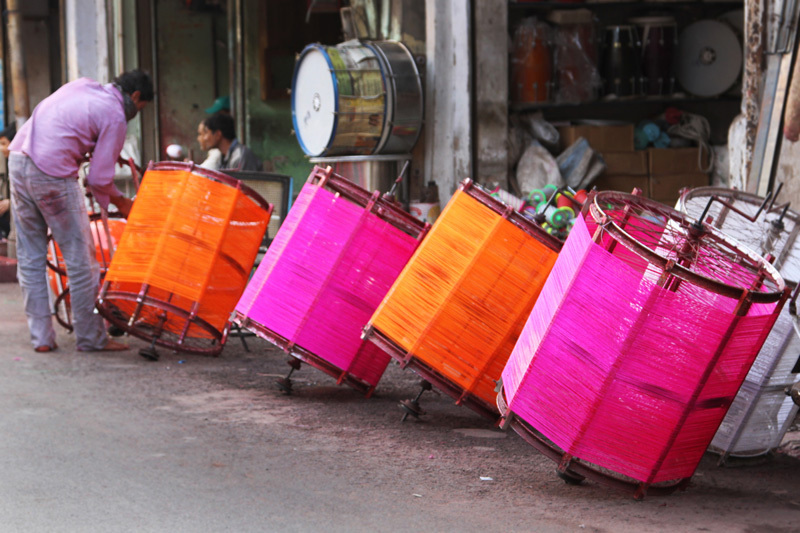 Vadodara, Surat and Ahmedabad are the major cities, which celebrate the kite festival. 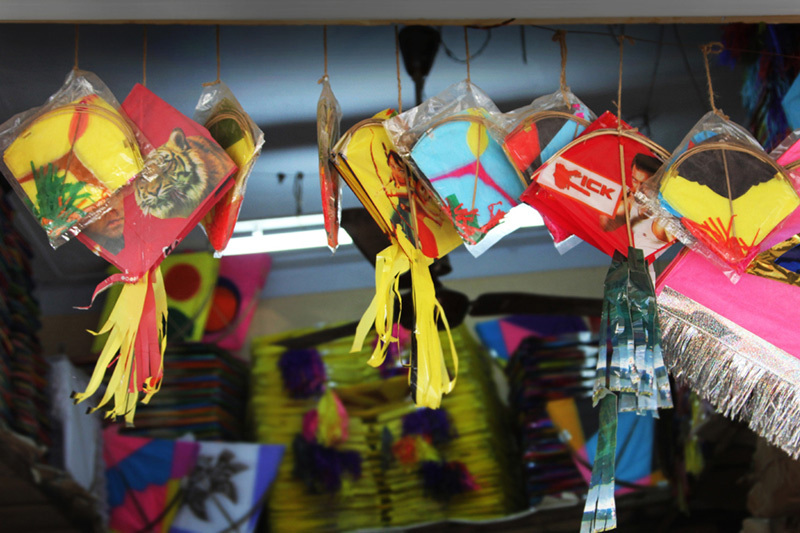 The sky is filled with colorful kite on the feast, which is celebrated with great fun and passion. Thousands of people participate in the kite flying and also many visitors from other countries visit the kite festivals held in Gujarat. 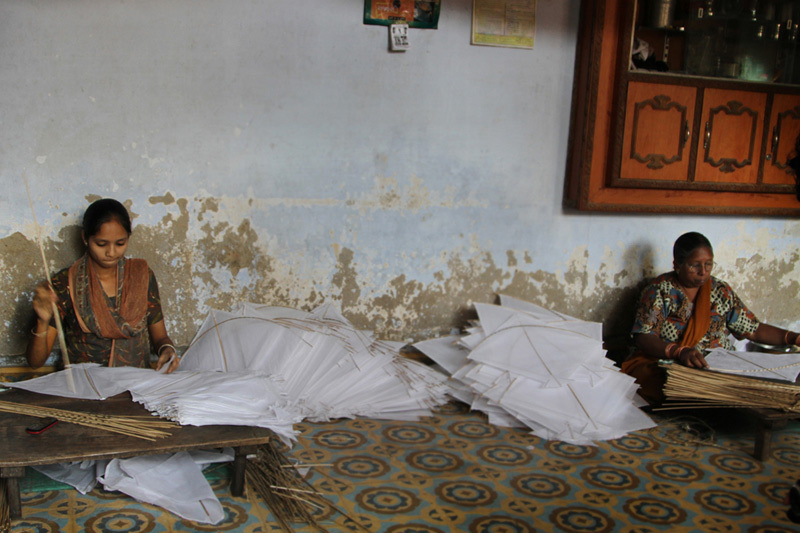 Kites for Uttarrayan are made of special lightweight paper. 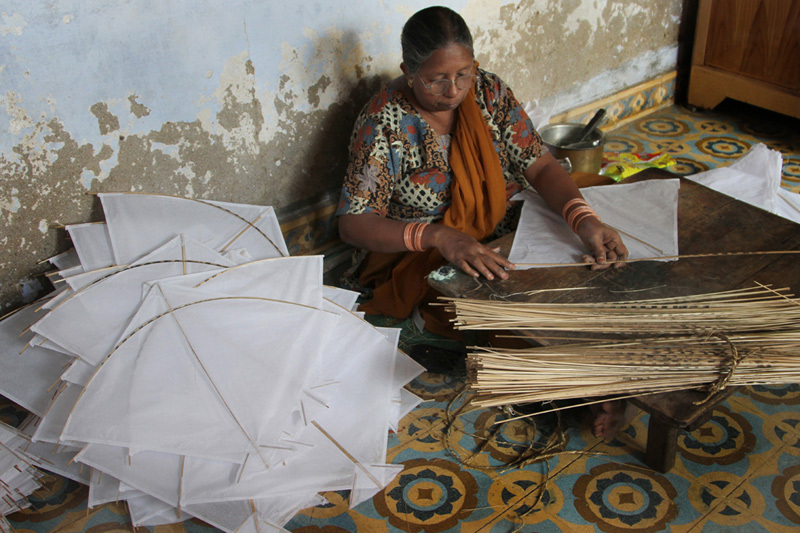 Kite making is the traditional crafts practiced in Ahmedabad form historic days. 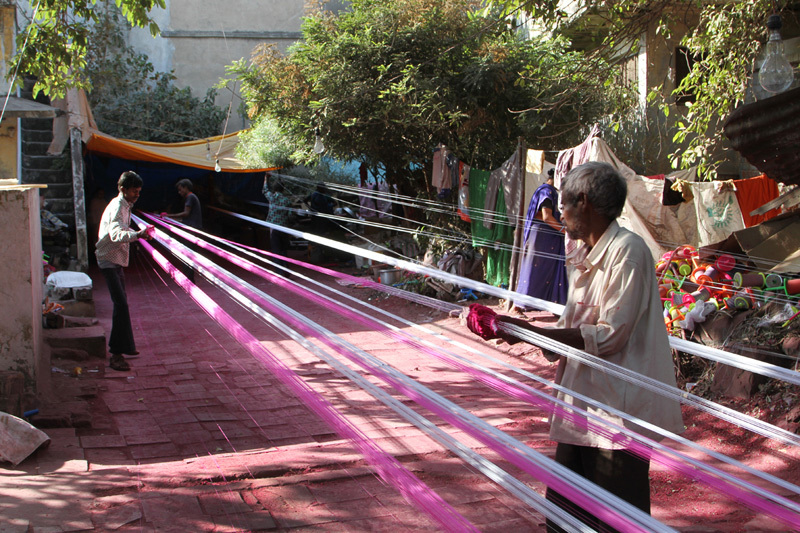 Majorly, minor community people are involved in the kite making. Kite festival attracts the people with its vibrant colors and designs. 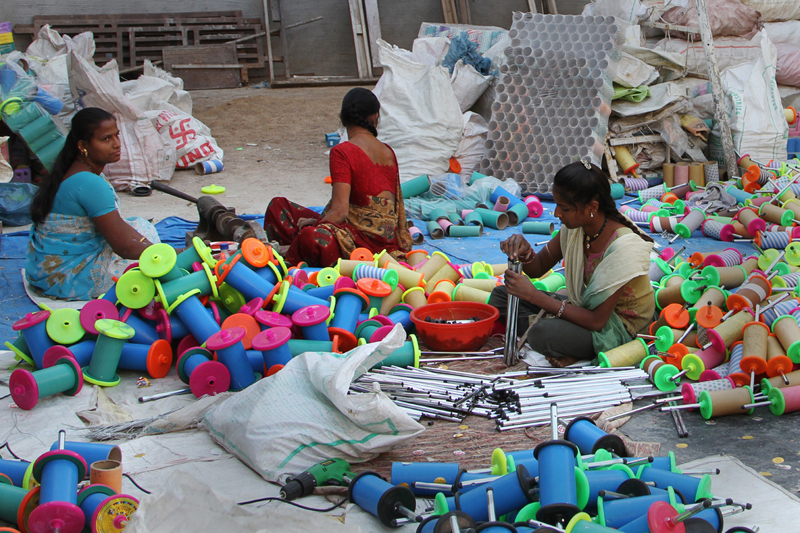 Many families in Ahmedabad are involved in making kites and setup small shops in their home itself. Kites are made with various design shapes and patterns to look more attractive. Apart from Gujarat state, kite flying is also observed as major festival in Rajasthan and Uttar Pradesh. The festival is known as “Makar Sakrat” in Rajasthani language and “Makara Sankranthi” in Uttar Pradesh. 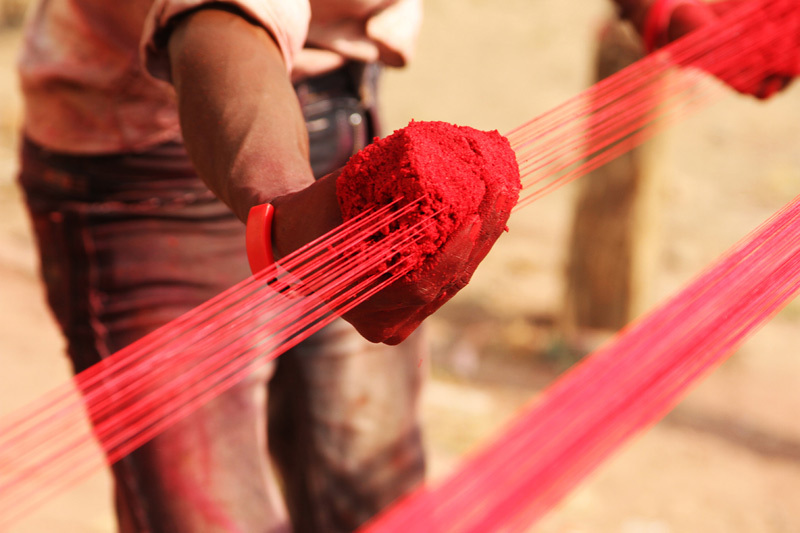 These three states have the major manufacturing of kites and Manza (kite string). 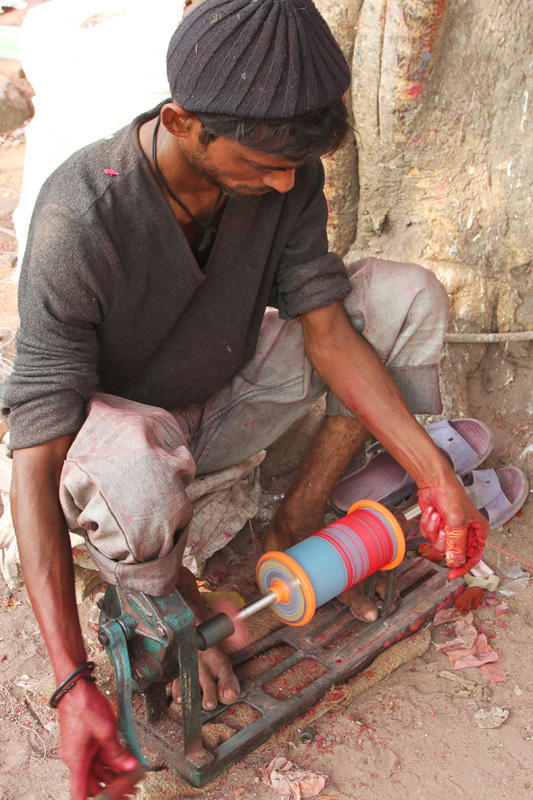 Kite making in India was introduced in India during the reign of Mughal emperor Shah Alam. 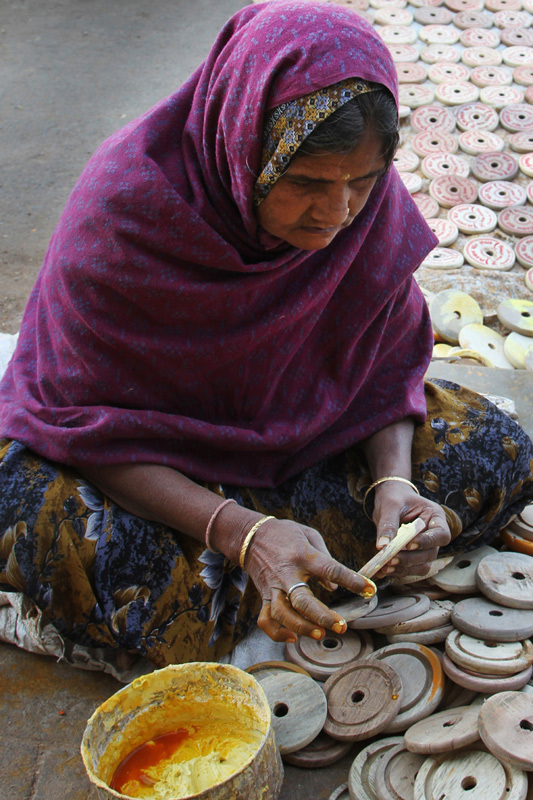 The tribe of kite makers is known as Patangbaaz. 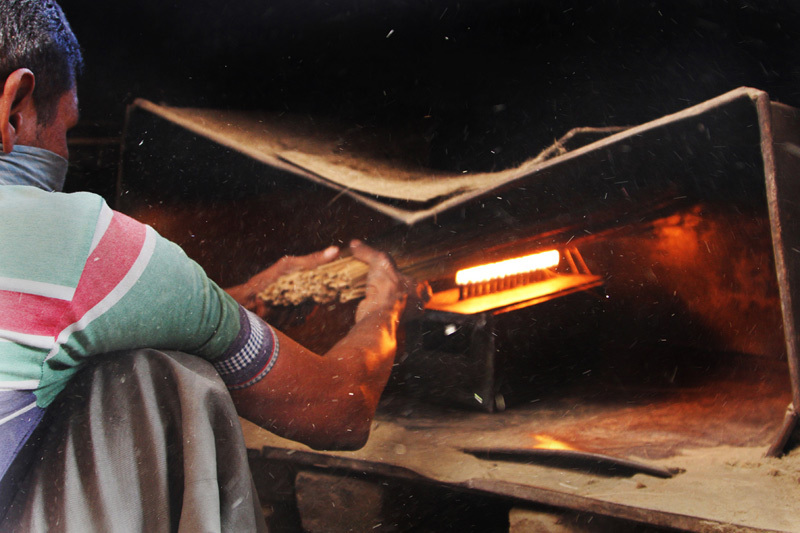 At the initial stage the kite was made in the form of Prism and was styled as Tinkoni Qandeel (prismatic candle). Tinkoni is the outer cover and inside this qandeel (Candle) a ball of rags soaked in oil was hung, with the help of a thin wire. When the ball of rags is lit, the hot air fills the qandeel and the tinkoni starts rising in the air giving a splendid view to spectators. It was basically a ‘Night sport’. For the purpose of day light flying it was modified into quadrangular in shape with better in mobility and control to the kite flyers. 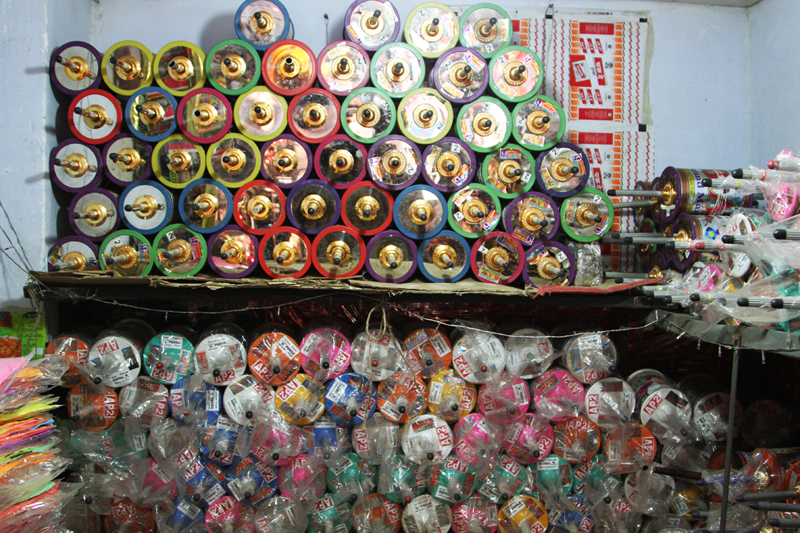 The design underwent further improvement and it acquired the appearance present day patang (kite). Apart from the sporty side, it is also played the role of messengers, conveying letters to distance corners of the city. The role has been described at length in florid Urdu in Masnavi-e-Zahi-e-Ishq by Nawab Mirza Shauq, one of the poets of the court of Nawab Wazid Ali shah. These kites were also a part of the Indian freedom movement, where the freedom fighters made king-size patangs in shimmering colors on which slogans for freedom were written. It is also said that people dwelled in the kingdom used to tie the strings of a flying tikkal (the old version, much bigger than a patang) to the leg of their children’s bed. The kite string created a vibration in the bed’s structure lulling the children.